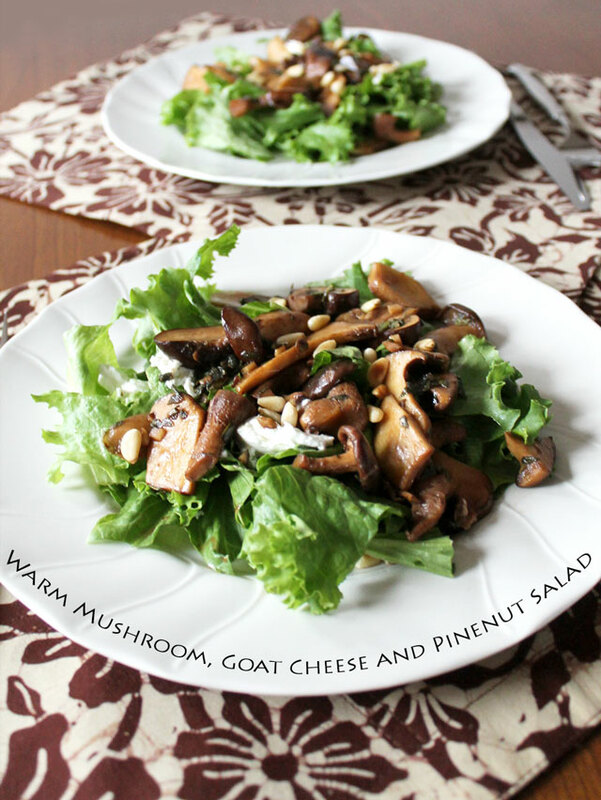 Here is the recipe featuring a warm mushroom dressing and goat cheese, over mixed greens. It can be fancy, served as a starter for a fall dinner party, or it can be a casual everyday dish by using less special (meaning less expensive) ingredients. I will give you both versions of the recipe so you can fancy it up or not. Both are really tasty. - A variety of mushrooms of your choice chopped into bite sized pieces, approximately 4 mushrooms per serving, depending on size. 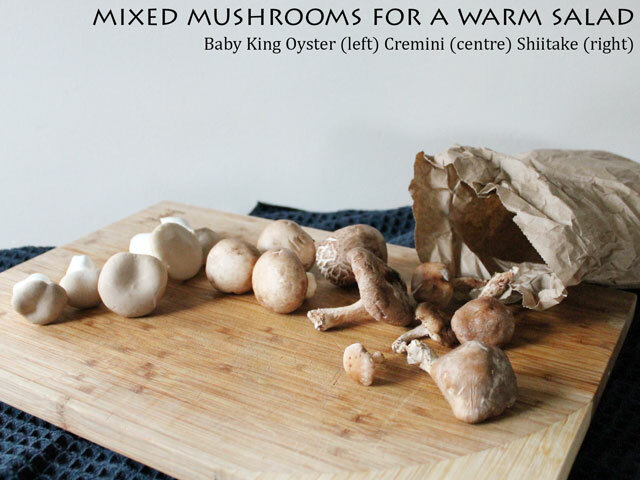 We used Baby Oyster, Cremini, and Shiitake. Portabellos are also nice. - Minced garlic, 2 small cloves .... It gets cooked in the dressing which mellows it out a lot, but if you don't care for garlic, omit or reduce it. - Goat Cheese (aka Chevre). Replacements for the more casual version: If there isn't a replacement mentioned below, use ingredients as above. 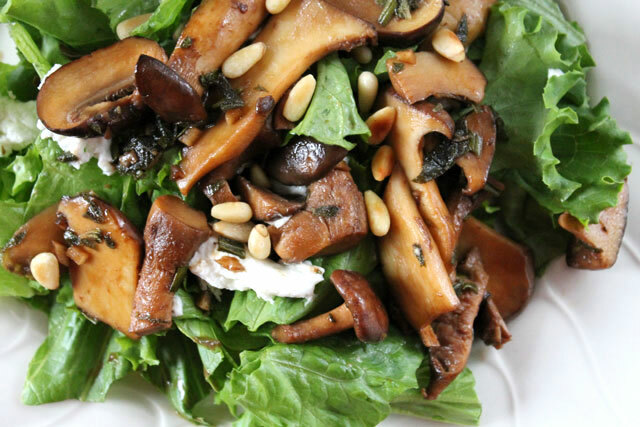 Use white button mushrooms, romaine lettuce, replace goat cheese with cubes of feta, replace Balsamic vinegar with red wine vinegar, but reduce the amount as it is more acidic, use everyday salt, omit rosemary (but don't replace with dried/powdered), replace pine nuts with toasted almonds or walnuts. 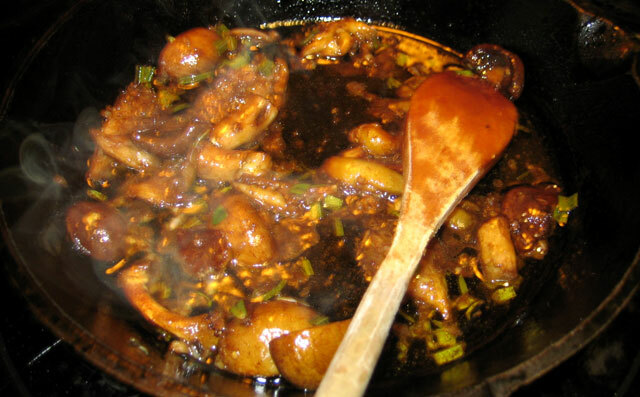 Add olive oil to a hot pan, and then saute mushrooms and garlic for about 2 minutes. Add the salt (notice how the salt suddenly causes the hot mushrooms to release their juices, which become part of the dressing.) Add vinegar, rosemary and mustard. Cook for about 2 more minutes. If you're not ready to serve the salad yet, this mixture can sit on the stove over low heat for a little while. If it dries out add a bit of water. Toast nuts in a dry frying pan until golden and fragrant, shaking the pan frequently. 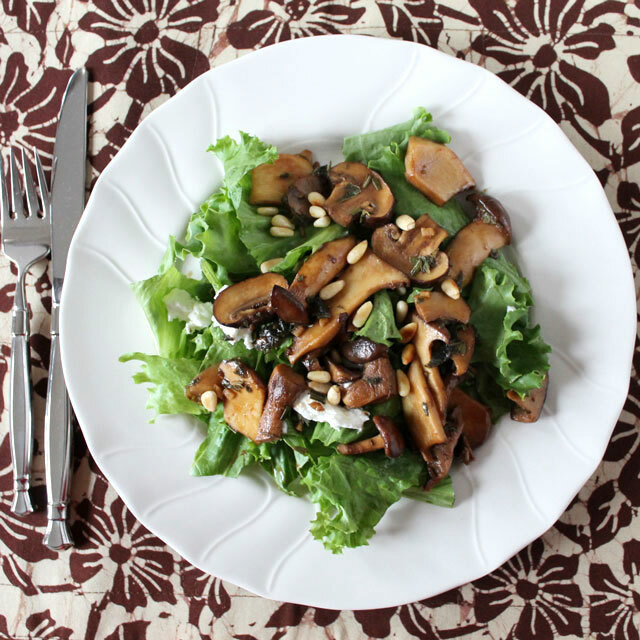 To serve: Line individual plates with salad greens, spoon on cheese, add mushrooms and the warm liquid. Top with pine nuts. Oh dear. My mouth is literally tingling and watering! Mmmm, it looks so good! I love feta! Holy cow, this sounds delish! 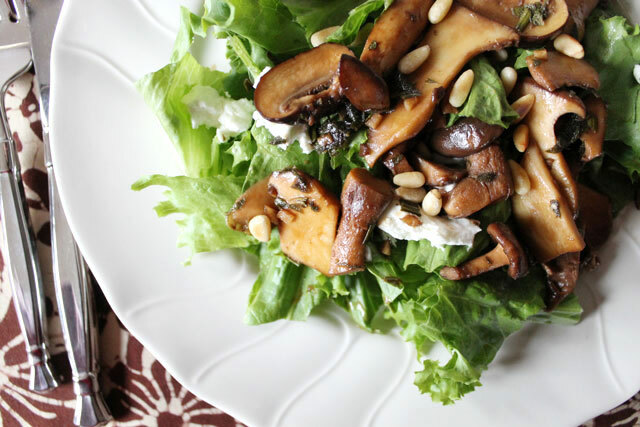 I love anything with goat cheese and those mushrooms look amazing!